Aizawl, Oct 31 : Congress general secretary and Congress Working Committee member in-charge of northeastern states Luzinho Faleiro on Wednesday took a dig at BJP prime ministerial candidate Narendra Modi and said that in Gujarat "some microscopic minority are living on islands of prosperity amidst an ocean of poverty, whereas in Mizoram it is an ocean of prosperity because Mizoram has taken everybody together". Faleiro sought to project the state as one where growth in "inclusive", and attacked Modi's and the BJP's development claims. "There are some prime ministerial aspirants from other political parties like BJP who are shouting from the rooftops of their economic growth of their states, like Gujarat, for example. Yes, Gujarat has developed as far as industries and the development of Gujarat is creation of few crorepatis. Mizoram may not have created crorepatis, but I am saying Mizoram is a role model," he said. "When the state (Mizoram) was born the per capita income was less than Rs 8,000. Today, as per 2012 census, the per capita income has crossed Rs 15,000. It has multiplied." "You see the literacy rate in Gujarat, you see the literacy rate in Mizoram. Although it is a smaller state, you have got a higher rate of literacy here. In Gujarat, the literacy rate has gone down. In a democracy if you want to empower the people you empower them through good education and good health. In this regard, I must say, you have done a commendable job in providing education to the masses and providing livelihood to farmers," he said. 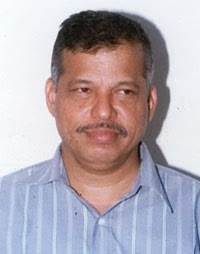 Faleiro also sought to debunk Gujarat's rapid industrialisation. "In Gujarat the farmers' land are taken hardly for 15 paise and 20 paise and given to the corporates or industrialists. See, the farmers are crying, the corporates are praising. In Mizoram, the government's endeavor is to take everybody forward, to increase per capita income. Therefore Mizoram is a role model for the country." AIZAWL: Sonia Gandhi, Rahul Gandhi and PM Manmohan Singh are scheduled to visit Mizoram in November, according to party general secretary Luizinho Faleiro. Sonia is expected to address a rally in Lunglei town on November 18. Rahul is expected to address a rally in Champhai, close to the India-Myanmar border, on November 21, and then address a rally in Kolasib town. PM's date of visit has not be finalised yet.